.io games, eh? You’re in for a fun ride! You see, I’m a bit of an Android app aficionado, and I spend quite some time testing out new apps. So here, I bring a round-up of some of my favorite .io games (Yeah, more consistent with this site’s theme than my previous post). So, unless you’ve been living under a rock for the past year, I’m pretty sure you’ve heard these .io games. What are they? How do they affect my life? And how is this guy guessing my every thought, right? It’s like am a mind reader! Anyway, read on for more info. Now, based on a quick Internet search, the extension ‘io’ is just another domain name (British Indian Ocean Territory, says Google). It has no direct bearing on the games or their functioning. Apparently, it has caught the fancy of developers owing to the fact that it is different from most other 3-letter domains, and also that it could mean Input/Output – automatically making it, technically at least, the aptest extension. Essentially, though, it is just people trying to be clever with names and trying to cash in on the latest .io craze. 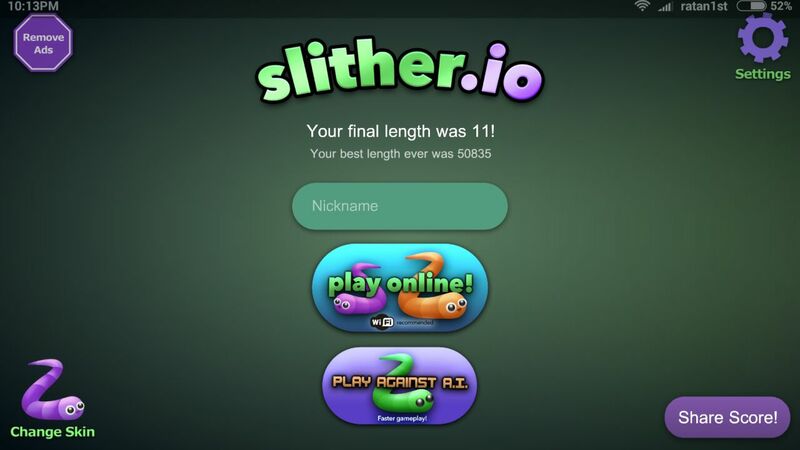 Fondly known as slitherio, Slither.io is probably the most famous of the .io games lot, currently. It absolutely took the market by storm when it was launched in the early stages of 2016. With over 100million downloads on the PlayStore now, I’m certain this game has done more to spread the .io craze than any other single game. The gameplay is pretty simple. You’re a fancy little snake in an enormous dark world, and the goal is to eat the shiny grub, kill other snakes and grow as big (read long) as you can. You die if your snake head runs into other snakes. Likewise, you kill other snakes by having them run into you. Never mind the bland description; the game is really fun and very addictive. It is naturally easier when you’re longer, but the catch, the oh-so-beautiful catch, is that you slow down as you grow longer. That is part of the challenge that makes this game so addictive. The game is a creative multiplayer spin on the old Nokia snake game, and is nearly perfect, with nary a defect. In fact, it is my top game of the year 2016. I’ve spent countless hours playing this game, and I’m yet to tire of it. This game has also engendered countless imitations – real testimony to the awesomeness of the game. The only downside, if any, is that it requires high internet speed and tends to lag heavily, otherwise. It also has an offline feature, but it gets old pretty quickly. Regardless, it is an absolute gem of a game, and you should absolutely try it if you haven’t yet. Be sure to keep an eye out for ‘ratan1st’ on the leaderboards, though. 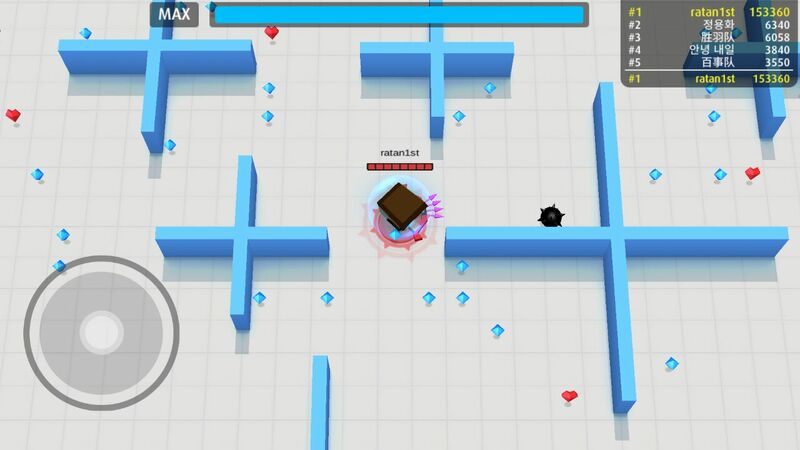 Splix.io is another nifty little .io game. It is much lighter than slitherio, and doesn’t require that high an internet speed. With over 1million downloads on the PlayStore, I cannot say it isn’t widely known. But still, Splix falls pale in comparison with its other .io counterparts. The gameplay, again, is pretty simple. 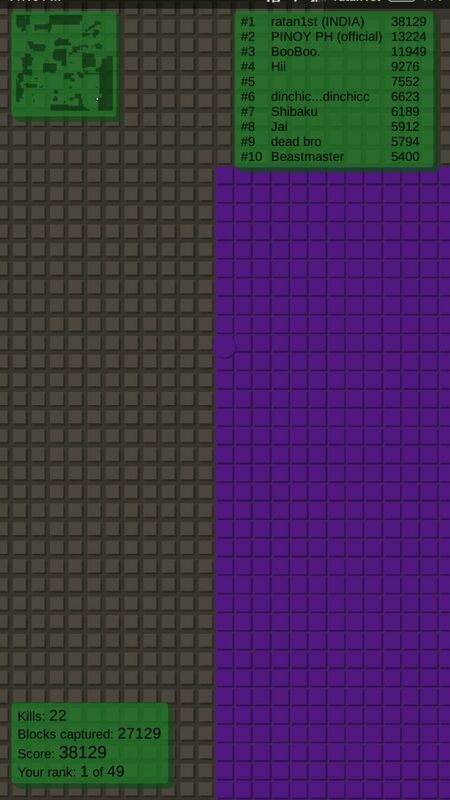 You’re basically a huge pixelated dot with the singular aim of ‘occupying’ more land. You need to complete a loop to claim land as your own while making sure nobody touches your uncompleted line. Seems simple enough, right? The catch is that other players can reclaim your land. So larger your boundary, the harder it is to keep track of trespassers. All in all, it is an unassuming little game that grows on you. 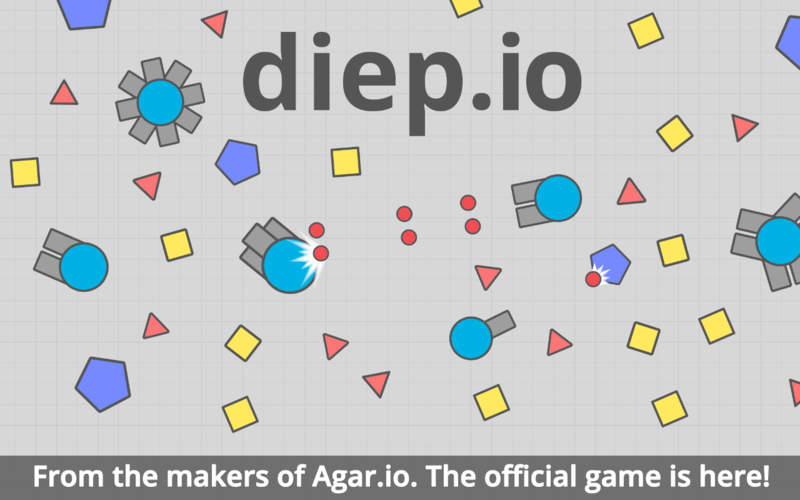 Miniclip.com’s second .io brainchild, Diep.io is a multiplayer tank game. You begin as an innocent little tank which shoots out bullets in one direction – but as the game progresses, you get to upgrade your tank into something a little deadlier. Again, consistent with .io games, Diep.io is very fun and addictive too. I can write little more about this game as I only played this game a couple of times. Though it made quite an impression, I was otherwise occupied, and couldn’t do proper justice to this game. Let’s just say I’m saving this game for a rainy day, and intend to get more out of it. You should check this game out now, though. 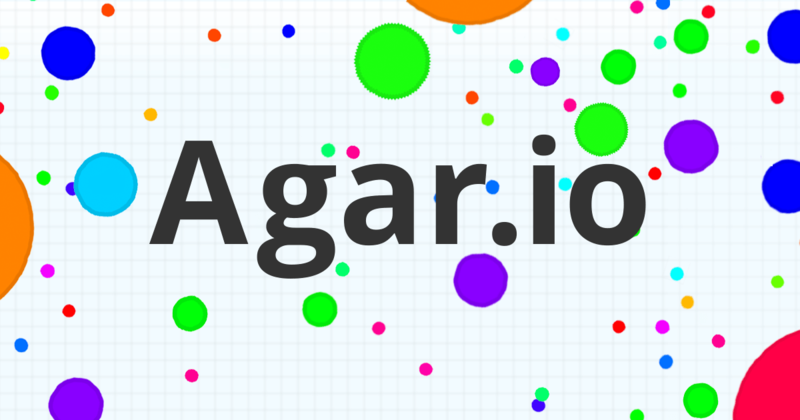 Agar.io! The one that set the figurative .io log rolling! This miniclip.com game is what started the .io trend. What started off as a little PvP (Player vs. Player) fun on their site, quickly snowballed into leading a .io revolution. Here, you start off as a tiny cell and grow as you eat other smaller cells. You need to stay away from bigger cells that can gobble you right up, though. There are several other tactics like splitting, shrinking, etc. to help you. I won’t give away too much, but this game too is an absolute must-try. Although it has been overshadowed by its snake counterpart of late, if you want to find out more about .io games, Agar.io is the quintessential .io game that checks all the right boxes. Arrow.io is another personal favorite of mine. With only 500,000 downloads on the PlayStore, I guess it is relatively new – because the game is an absolute delight. And, for a change, the graphics are pretty decent too.The gameplay is quite similar to that of Diep.io’s. But instead of tanks with nozzles, we have guys with bows here. The attractive graphics make it that much more adorable. Another point to note is that the offline version of Arrow.io is much much better than the other .io offline versions. It is very playable, and the AI seems pretty advanced. In fact, it can be considered a stand-alone game by itself. On the downside, the game doesn’t receive sufficient traffic at all times, and you’re often left hanging all alone on the server, depending on the time of the day. Also, being new, it lacks certain features. However, with the impressive groundwork so far and frequent updates, I have this game earmarked as the next big thing in the world of mobile gaming. I predict this game to join the .io bigwigs as 2017 progresses. Nonetheless, you should still check this game out, today! So yeah, that’s about the round-up of my top 5 .io games. However, plenty as they are in number, one can hardly limit oneself to playing just a few. In any case, restraint isn’t my strongest virtue, so here are a couple of .io games worth a special mentioning. A juvenile game, this one. Not your typical PvP .io game, hide.io is essentially a digital hide n’ seek. It divides the players into two teams (The hiders and the seekers, of course) and pits them against each other. It is a fresh take on .io games and is worth a try. The central theme of the game is pretty childish, but it scores extra points for perhaps being the most creative game I’ve come across! As the name suggests, it is a .io version of the traditional Minesweeper. And of course, by .io, I mean multiplayer. If you’re tired of all the nonsensical, never-ending .io games, this one is for you! It retains the conventional intellectualness of Minesweeper and provides a competitive edge – making it all the more fun. A must-try for Minesweeper enthusiasts (Rare breed, though, I suppose). That sums up all I’ve wanted to share with you folks. I reckon what makes these .io games so popular is their pure PvP gameplay and ease of accessibility. You just download the game or open a window and start playing; no logging in, no saving progress – just fun – quick, plain fun. 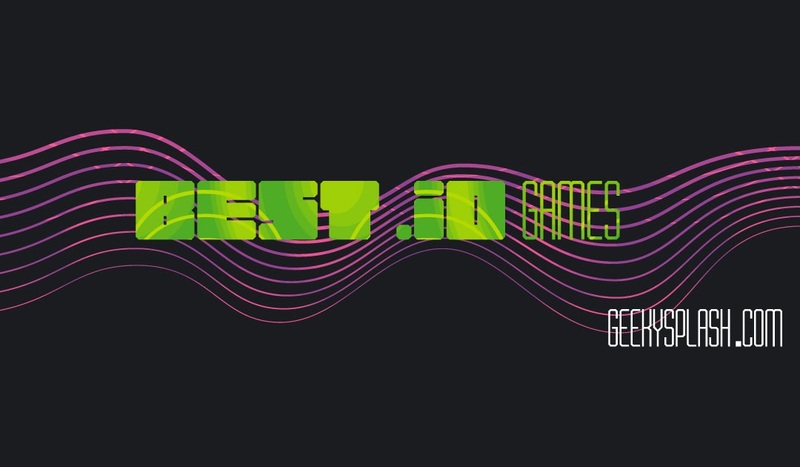 And of course, they are hundreds, if not thousands, of .io games, with several being added each day – making this list anything but comprehensive. So make sure to drop a comment if you feel I need to check out a game. Love ‘em or hate ‘em, .io games are here to stay. I reckon you’ll be seeing a lot more of them in 2017. So I suggest you make your peace with them. Anyway, that’s all for now. If you’ve enjoyed this post and would like more, do let me know in the comments section below. Adios. Chess lover. Avid book reader. Biased tennis fan. Eclectic taste in music.